In his first night in the majors, Darrell Whitmore went 2 for 4 with a double and a triple. By mid-September, though, the outfielder who was rushed to the majors was hitting just .204. He was also trying to keep his head up, according to The South Florida Sun-Sentinel. Whitmore fought through it for time in two more major league seasons. He then played a season in Japan. He didn't stop fighting to get back until 2002 when he played his final pro season. Whitmore's career began in 1990, taken by the Indians in the second round of the draft out of the University of West Virginia. At West Virginia, Whitmore played both baseball and football. He even returned to play football after his first summer with the Indians at rookie Burlington. With the Indians, Whitmore made high-A Kinston in 1992. He then moved to the Marlins in the expansion draft. After starting the season at AAA Edmonton, Whitmore debuted in Florida that June. Whitmore combined with Gary Sheffield to provide the offense in Whitmore's first game. "If we hadn't had them tonight, we probably would have lost 1-0," Marlins manager Rene Lachemann told The Associated Press. Whitmore went on to get into 76 games that year for the Marlins. He ended with a .204 average. He returned to the Marlins for 1994, but got into just nine games. 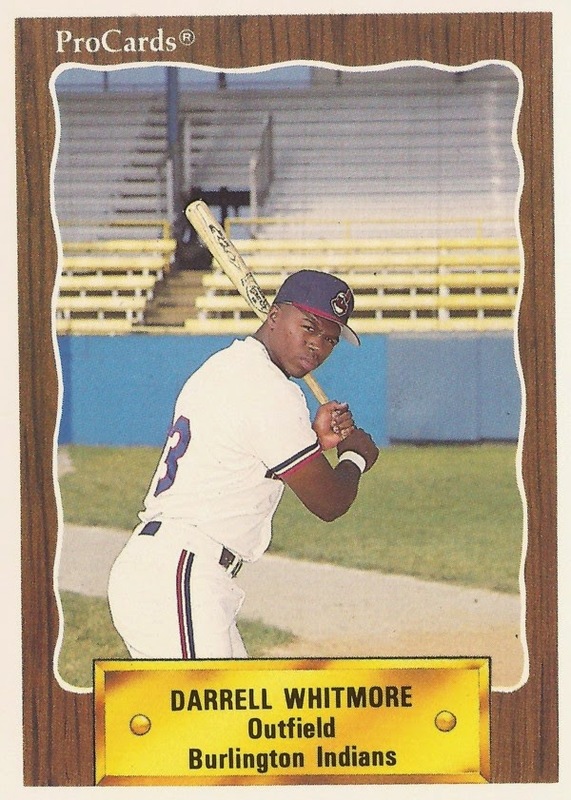 He got into 27 in 1995, but hit just .190. That May Whitmore served as an injury fill-in, hitting a home run in one game. "For right now it's an opportunity," Whitmore told The AP. "I'm not getting my hopes up." Those 27 games ended up being his last in the majors. He moved to Japan in 1996, playing 57 games with Chiba Lotte. He then went on the play in the minors through 2001 and one final season in 2002 between independent ball and Mexico, ending his career.